Oh hell YES, y’all! Today is a blessed day for Nashville fans. Not only has Connie Britton joined Twitter (with perhaps, the greatest first tweet ever), the show’s producers have announced a stars of Nashville TOUR. That’s right, your favorite characters, lots of toe-tappin’, heel-clickin’, hip-shakin’ tunes, and presumably all the drama of the smash ABC musical drama. Now don’t grab your cowboy boots and celebratory shot of whiskey just yet. The tour will, unfortunately, NOT include stars Connie Britton (Rayna James) or Hayden Panettiere (Juliette Barnes). 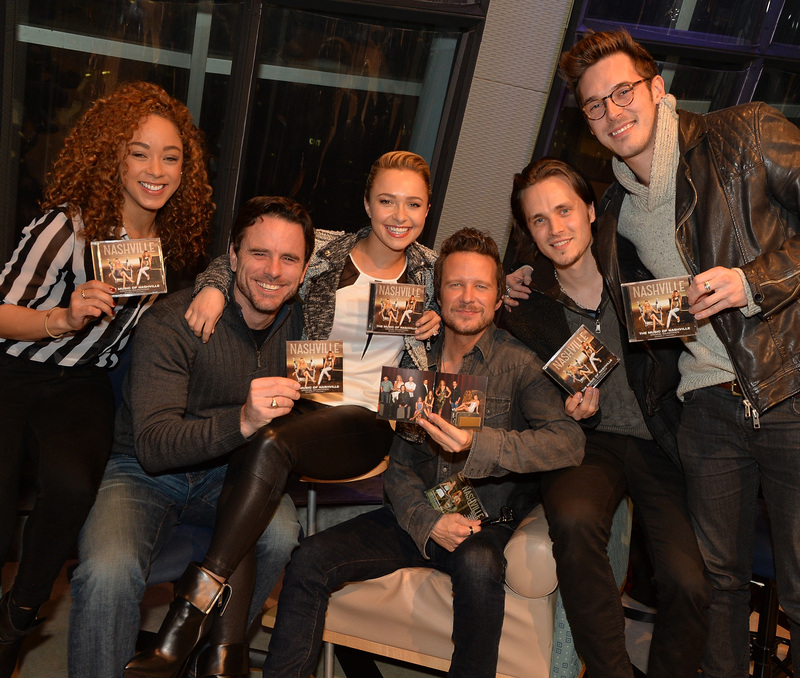 It WILL, however, include the headlining talents of Charles Esten (Deacon Claybourne), Clare Bowen (Scarlett O’Connor and all of her hair), Jonathan Jackson (Avery Barkley and all of HIS hair), Sam Palladio (Gunnar Scott) and Chris Carmack (Will Lexington). And as an extra-special bonus, Will Chase (Luke Wheeler) will join the show for the New York date. So fret not, there's plenty of love-triangles and sexual identity crisis storylines to go around. The Nasville tour will make stops in Chicago (4/25), Washington, D.C. (5/4) and New York City (5/6) and tickets go on sale Friday, April 4. Considering the compilation soundtracks released from the series have sold more than 3 million copies... I reckon this tour will sell-out quickly. So you better hop on these tickets faster than Rayna and Deacon fall in and out of love with each other. It's just not Nashville without them! An all-acoustic Deacon Claybourne set... in which the stage is completely covered in candles. So much handsome. So much love triangle. SO MUCH. If I can't buy an air-brushed, bedazzled denim Nashville jacket, I will have WORDS. It's like the DVD-extras of concerts! Yep, he's English. And we are more than okay with it. With every ticket, concert-goers receive a series of clues that leads them around the concert venue to uncover the latest Nashville crime! There's going to be so many smog machines used on this tour, and it's so necessary.